Peter Kleinloog uit Zuid-Afrika, zoon van Pieter, gaf de webmaster onderstaande informatie en foto's van zijn vader. The group photo is Cornelia, Johanna Kleinloog-Ros, Nico, Willem, Pieter, Hendrik Kleinloog and Henk. Corrie, Nico and Pieter were from a previous marriage, their mother Harmina Kleinloog-de Vries died when they were very young. 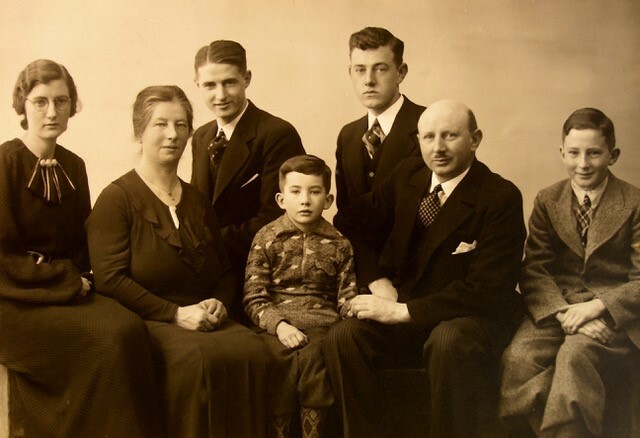 Pieter Kleinloog was born in Voorburg on the 13th of May 1916. He finished school and various post school courses to obtain knowledge of the building industry as well as becoming a tile setter by trade. In 1936 he decided to immigrate to South Africa to find work and a better life. 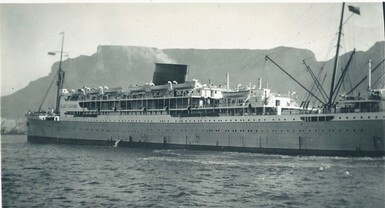 The trip was on an Italian ship, the Majella. (see photo right) The story of his travel is very well documented on the www.engelfriet.net website under the heading "De Brieven van Jaap Bestebreurtje". After landing in the Cape he moved to Pretoria and Johannesburg to work in the building industry and the tile setting industry. He was engaged to Henrica Ros from Baarn in the Netherlands and when she wanted to follow him, her dad insisted she travel as a married woman. She married her brother as stand-in with the glove “Met handschoen getrouwd” on the 19th of Nov.1938 and then left for South Africa with her sister in law Nel LeCointre. They were married in Johannesburg South Africa on the 31st of Dec 1938, the first double marriage in South Africa. 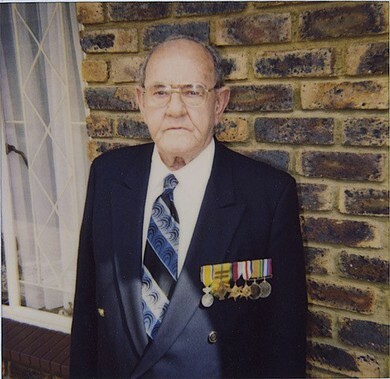 When the call came to go to war he signed up and left via Cape Town to England. 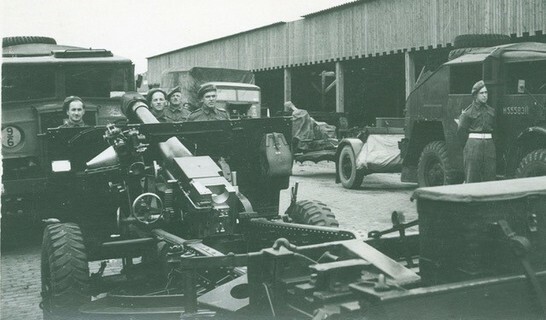 He is shown in the picture as member of the first contingent on the very right. Then Siebren Woudstra back row from the right no.5. Gerrit van der Plaats front row no.5 from the right. Joop van Aurich no.8 from the right. 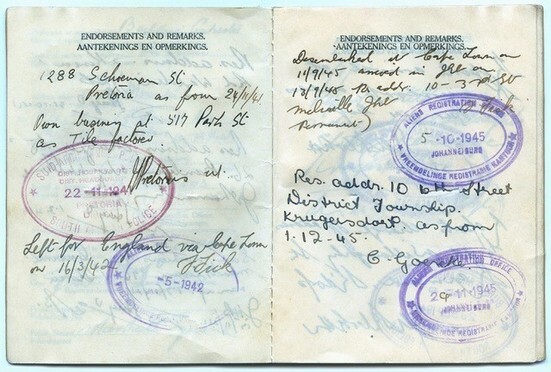 His travel documents show that he left Cape Town on the 16/3/42. The ladies that stayed behind during the war years. They are from left to right Nel Kleinloog, Sjoeke van de Leque, Lien Bakker, Rie Kleinloog and Sietske Woudstra. 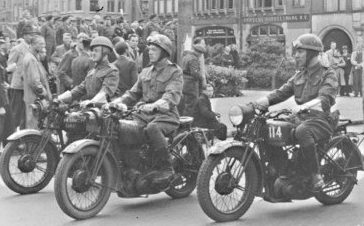 During the war Pieter was a sergeant major in the artillery as well as a dispatch rider with the Princess Irene Brigade. He was also wounded in the wrist at some point in time of which I do not have any details but would like to hear from anybody. 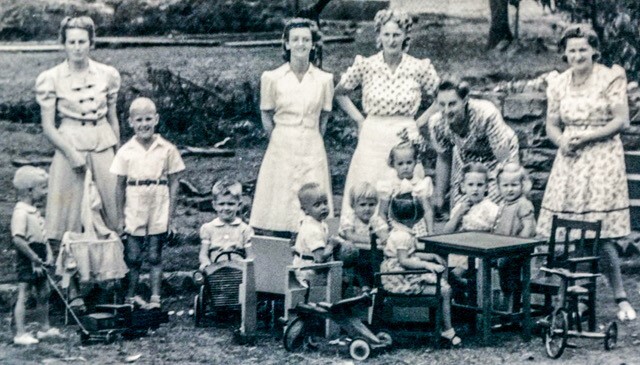 Pieter returned to South Africa on 11/9/45. Pieter was happily married till his death in 1998 to Henrica Kleinloog-Ros. 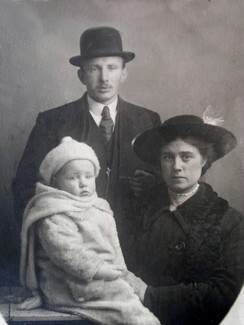 They had another three post war children Irene, Peter and Robert.